Nestling in the North East corner of Italy, Friuli-Venezia Giulia is one of the 20 regions of Italy, and one of five autonomous regions with special statute - the capital is Trieste. 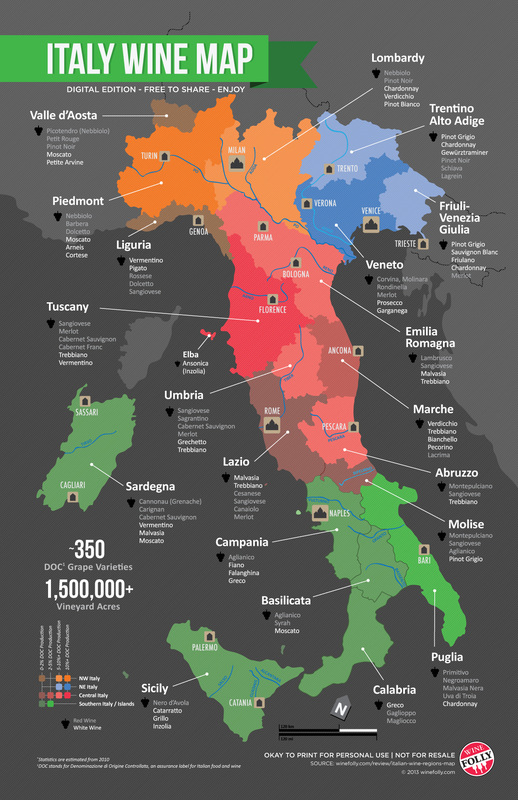 Though the wines produced in this region represent only two percent of the Italy's production, to some they are comparable in quality to wine produced in Piedmont and Tuscany, the two most celebrated wine producing regions of Italy. 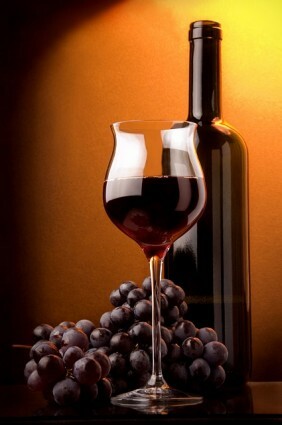 The local wines are remarkable for the number of grape varieties that are used in their blends. In addition to the native grapes, different varieties have been introduced over time. Add to this the winemaking skills of the “Friulani”, and the result is the creation of exceptional wines. SARA & SARA (Savorgnano del Torre, Udine) is a small family business that sets great store by its pursuit of excellence. Located in Savorgnano del Torre, in the North East corner of Italy, they keep technological intervention to a minimum, preferring to rediscover time-honoured techniques, such as rack-drying the grapes and not filtering the wines, which give rise to integrity and authenticity. The vineyard, founded by Giuliano Sara, lies in the heart of Friuli's eastern hills, on a land rich with rivers and streams, woods and hills of clay marl and sandstone. Sheltered from the cold north winds, this spot offers a perfect microclimate for the development of the "noble rot" essential to elegant grapes such as Picolit and Verduzzo. Sardinia’s wine industry is characterised by grapes that are seldom seen in other parts of Italy, like the prolific Nuragus, as well as clones of classic Mediterranean varietals like Moscato and Malvasia. While crisp wines made from Nuragus are popular locally, wines made from Vermentino, often bottled as Vermentino di Sardegna DOC, have more commercial appeal. Vermentino is now widely planted, making clean, fresh wines, such as the dry Vermentino di Gallura, Sardinia’s sole DOCG appellation. Historically, whites were produced in high volume with relatively high alcohol, although more recently Sardinia’s producers have been reducing yields in order to focus on quality rather than quantity. This shift was a more recent phenomenon in Sardinia than in other parts of Italy, with many winemakers reluctant to change their methods in order to seek out commercial success. Quality has prevailed, and now in addition to the single DOCG, there are 19 DOC appellations. Sardinia also has 15 IGTs, which is more than any other region in Italy. TENUTE OLBIOS (Olbia, Gallura) is a wine-growing and wine-producing company with a a wonderful philosphy: search for quality and excellence in an original and exclusive manner in every aspect of the production. From the growing of the vines to the harvesting of the grapes, from the start of the winemaking to the bottleing of the wine; all the way to the design of their bottles. For them, making wine means to tell about themselves and their territory - in their wines they add all of their passion. Sicily's oenological history is an ancient one, dating from the time when the island was part of Magna Graecia. One usually associates fine wines with western Sicily or the areas near Mount Etna, but many new wineries have sprung up across the island. Sicilian oeniculture is not just varietals. Sicily's vintage wines are a magical creation, and many of the island's traditional wines and spirits are famous far beyond its shores. Several boast denomination of origin (appellation). The high-altitude of some Sicilian vineyards creates climatic conditions similar to northern regions, with the advantage of much more sunlight. Overall however, the predominant climate is hot and dry which results in characteristically robust and powerful wines. FERRERI & BIANCO (Santa Ninfa, Trapani) is located near a beautiful nature reserve where their vineyard captures the essence of two great grape varieties: Nero d'Avola and Catarratto. The 50 hectares are spread over several hills, allowing them to reap the benefits of the different microclimates. Only the finest grapes are selected, and then collected in boxes and processed in compliance with the oldest traditions of Sicilian wine making. TENUTA MONTE GORNA (Monte Gorna, Catania) is a family business driven by a pure passion for the land and for wine; a passion handed down from father to son for three generations. The second generation is credited with restoring the family-owned land, which they entirely replanted with vines. The mission of the third generation is to raise awareness about the volcanic wines of Tenuta Monte Gorna among Italian and foreign consumers. Wedged between the two extinguished craters of Mount Gorna and Mount Ilice, and the majestic silhouette of Mount Etna, the vicinity to the forests and substantial difference in temperature between day and night, promote the ideal maturation of the grapes, giving Tenuta Monte Gorna wines their unique and distinct character. TERRE SIKANE (Riesi, Caltanissetta) is a young company born from a long family tradition. Located in the south of Sicily, in the town of Butera, the vineyard is some 78 hectares of land of which 20 hectares farmed using the Espalier* technique. The company has always shared a special bond with its territory, a love that is expressed through crops made with traditional methods. Equipped with advanced technology and professional winemaking skills, the company stood out from the beginning for the distinctive quality of its wines. A special attention to design, which gives its own labels a stylish, and at the same time contemporary, guise, complete the profile of Terre Sikane. Refined winemaking techniques and skilled craftsmanship, are the perfect ingredients of a wine that can excite and delight the palates on every occasion. *A horticultural and ancient agricultural practice of controlling woody plant growth for the production of fruit, by pruning and tying branches to a frame. Note: We are currently in the process of reviewing additional wines for this portfolio.